Book Description: The goal of this Renal Pathology Atlas is to provide teaching material to veterinary pathologists and nephropathologists. 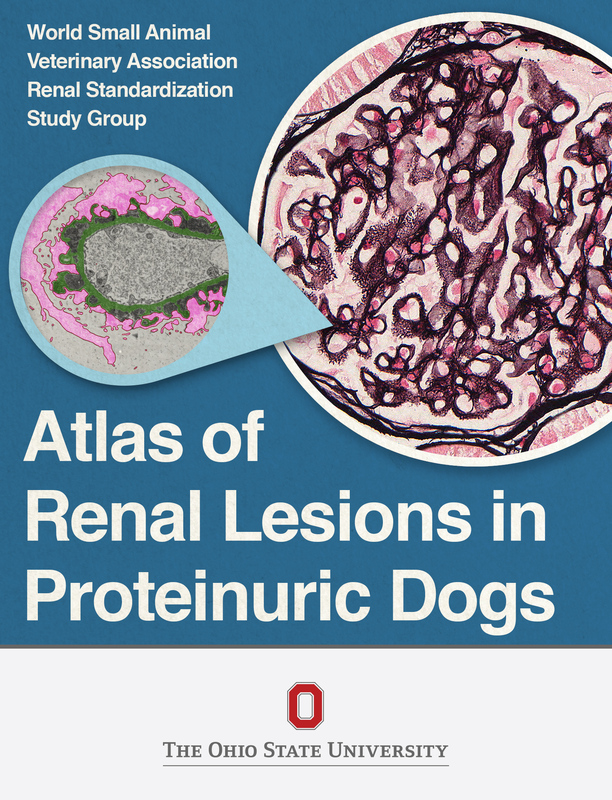 The atlas demonstrates the breadth of lesions that can occur within a cohort of dogs presenting with the clinical sign of protein loss in the urine. Kidney samples were examined with multiple modalities including: histopathology, immunofluorescence and electron microscopy. Integration of these comprehensive evaluations with the clinical history can help veterinary pathologists and nephrologists to better understand the etiology and prognosis of renal lesions in proteinuric dogs.